Protected & Shielded housing to avoid shorting and reverse polarity. 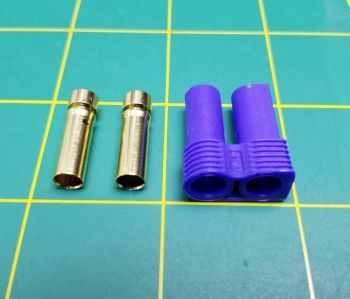 5.0mm Gold Plated bullet connector. 120A continuous current with 10-awg wire.